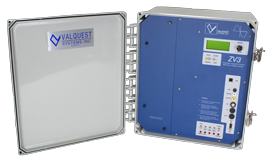 Products | Valquest Systems, Inc.
Smart Grid ready, full-featured, automatic & intelligent Capacitor Controls designed for ease of use, calibration, and commissioning. 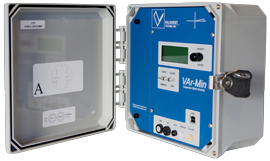 The VAr-Min series of controls are compatible with 120 or 240 Volt, 50 or 60Hz distribution systems with a wide range of configurations. This allows it to function in a diverse set of operating environments. Program in the field without the use of a PC, or use the included software, to create your own switching scheme. 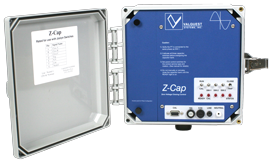 The Z-Cap is the most accurate and reliable 'ZVC' Zero Voltage Closing Control. Closing each capacitor with zero voltage across it removes inrush current, voltage transients, and allows multiple capacitor banks to be placed next to each other without costly additional hardware. Compatible with many capacitor vaccum switch manufacturers. Combine the flexibility of the VAr-Min Capacitor Control with the superior ZVC switching performance of the Z-Cap, all in a single compact enclosure. Manual operation control with built-in safety features. Focus on distribution efficiency and power quality with Valquest Systems, Inc.'s VS.Net SCADA Master Station and Remote Terminal Units (RTU). Your 1st choice for cost effective system analysis, control, monitoring, and reporting. 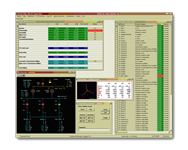 The VS.Net SCADA Master Station is designed specifically for electric cooperatives and incorporates dedicated utility distribution features and menus to make the system easy to use and maintain. 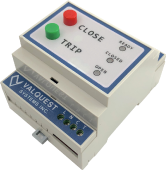 The Valquest Systems, Inc. VQ-2015 is a communications-based substation RTU running industry standard protocols to poll your IEDS and locally store event data. It includes a local master communications port for local, real-time monitoring in the field and ports for future expansion. 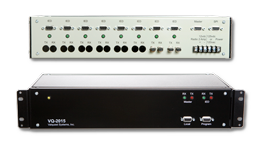 The VQ-3015 serves as an expansion module to the VQ-2015 with versatile communication in analog and digital form. 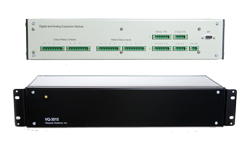 By monitoring opto-coupled digital inputs, the VQ-3015 reads your PTs & CTs, calculates kVAr, kW, Power Factor, Phase Angle, and stores the status information in non-volatile memory. Use the Gridsmart as a cost effective solution for automating older equipment and recloser controls. This includes providing SCADA support for remote devices. Smart Grid automation designed for ease of use and commissioning. SCADA compatibility is inherent with both DNP or Modbus. 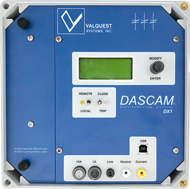 The DASCAM helps automate distribution sectionalizing from SCADA. The PowerLyzer and PowerLyzer-MB measure, record, and analyze power systems and associated characteristics. These products record and analyze voltage blinks, brown-outs, voltage/current level, power factor and power usage. This also includes voltage and current waveforms, with calculations of harmonics out to the 63rd. 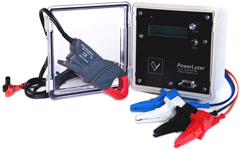 Compatible with current clamps and read voltages of 120 to 480 in 1, 2 or 3 phase. Select between two unique current transformer (CT) configurations for current output (mA/A) or voltage output (mV/A). 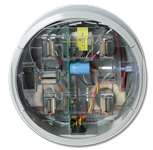 This self-contained meter base requires no external CTs or special equipment. Use with 120/240 VAC 3-wire 200 amp residential voltages and meters.